Crazy life? Embrace the Crazy! By day two I was already a complete failure. But let me back up a bit, and start at the beginning. I saw on the Facebook that “Embrace the Crazy” was leading a 30-day challenge to change one habit. This is great! I thought with hubris. I can do this! Just one habit? YES! Ok, now I choose. What habit can I build? Well, my house is messy enough that it falls on the spectrum somewhere between “squalor” and “hoarder.” Perhaps I can do just five minutes of cleaning a day, changing rooms every day. That’s reasonable. A mere nudge in the right direction. Day two: cake. Where is there cake? I need some cake. Because it was a mere five minutes of my life and I couldn’t do it. I could not bring myself to clean. Day three: no. I will not. I shall not. Not even for cake. Or birthday cake Oreos, and those should be a controlled substance. Days four and five: no. Day six: NEW PLAN. 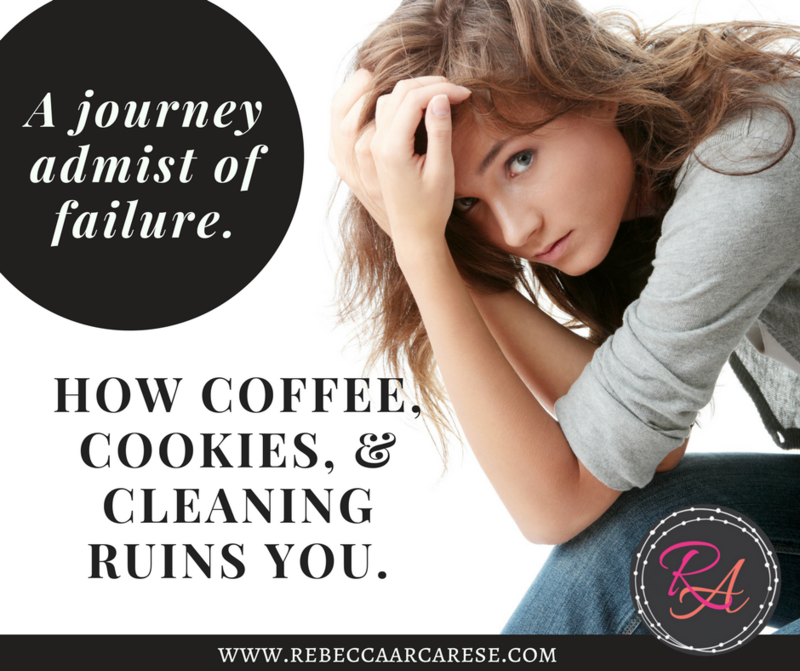 Clearly my desire to clean is about as strong as my desire to walk away from those Oreos (my husband was weirdly proud that our family of four went through a whole pack in 36 hours. I regret nothing). It’s not too late. I’m going to start… dusting? And insult the dust bunnies beneath the couch? Rude. Maybe I could start smoking and then stop for the challenge? That seems too pretentious. Oh! Duh! Water. I drink approximately 14oz of non-water over the course of one day, and that can’t be good for, well, any part of my body. I’m “told” by “experts” that man cannot live on coffee alone, but I’m team COFFEE FOR LIFE. And yet: I’m 38 and far from a “young grasshopper,” thanks Master Miagi, and I’ve been having some acid reflux issues. Surely water can help with that? Day seven: yes, it does. I’m not counting water like Ambitious Karla of 2005, with a chart or an app or a special water bottle with movable rings to indicate 8oz consumed. I’m just trying to drink a lot. So I fill a 32oz mason jar at the beginning of the day, try to keep drinking and refilling it, carry water in the car. And popping TUMS antacids like Jelly-Belly’s has decreased mightily. Today marks halfway through the challenge. I stumbled a bit at the outset, but having a happier gut has compelled me to continue my second attempt at change. Sometimes, timing and wisdom about where you are and what you’re capable of is just as important as the actual changing of habits. Change is hard, but God knows how to direct us. I’m no celebrity mom, nor am I a wannabe. I can barely hold it together when nobody is watching. The thought of 24/7 public scrutiny makes me sweat. Celebrities fascinate me, though. I read that Khloe Kardashian can’t wait to hit the gym after giving birth and I’m academically intrigued. I can’t say I’ve ever been that excited about sweating by choice. It seems we all love a superstar mom, as long as she doesn’t look like a mom. We expect hot post-baby bods two to four weeks after they give birth, and we buy up every magazine that promises to reveal their secrets. Last year, Beyoncé sent Instagram (and her husband) into a drooling frenzy with a selfie slideshow wearing a skimpy, skin-tight red dress just two months after having her twins. Meanwhile, I’ve never had twins and it still took me 18 months to lose the baby weight after my second. If you’re like me, these celebrity moms seem like they’re from another planet — their lives are out of this world. They have nothing in common with us average Janes – or do they? 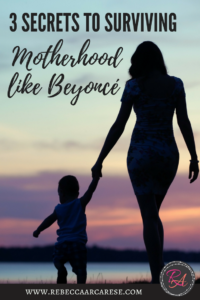 If one is to believe what they read on the Internet, Beyoncé and other celebrity moms might have different resources than the rest of us but we’re all trying to survive this chaotic time of life without losing our sanity. Motherhood is not a solo sport. Beyoncé hired two nannies when her daughter, Blue Ivy, was born and another six when the twins arrived. The rest of us might not need round-the-clock nannies but we still need help, and we shouldn’t be ashamed to ask for it. If you need help in this area, check out my free offer down below. Even when the scale returns to its pre-baby reading, our bodies rarely look the same. Things shift, drop and soften. But Bey doesn’t let that get her down. After Blue Ivy’s first birthday, the superstar told Vogue, “I just feel my body means something completely different. I feel a lot more confident about it.” We could all learn a lot from viewing our bodies from this perspective, couldn’t we? Beyoncé just about broke the internet when she was spotted shopping in Target with her daughter. They probably ran in to get just one thing and walked out with an overflowing cart. But even celebrities know there is no other place to go when you need to wrap a quick outfit, some toys and a toothbrush. That reminds me that there is no shame to choosing convenience. Whether it’s a big-box store, frozen food or grocery delivery, it’s OK when moms choose the path of least resistance in running their households. Shopping at Target might not make me famous like Beyoncé, but it’s helped me to realize that we’re not as different as it seems. All moms – regardless of wealth or status – are just trying to survive as best as we can. Beyoncé’s mothering journey has shown me that there is power in embracing what I see in the mirror and accepting help when I need it. How about you? 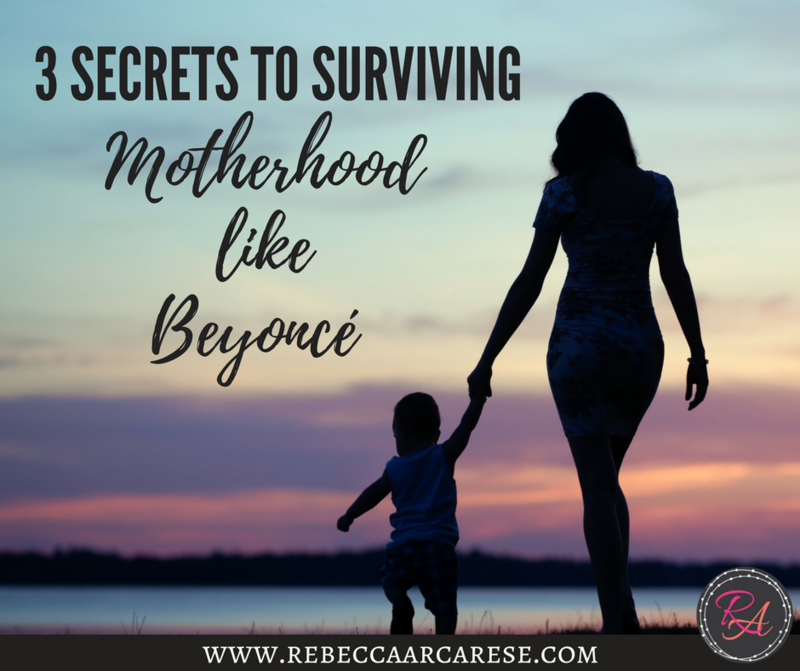 What tips do you have for surviving motherhood? What is your secret weapon? Share your secrets in the comments or by email, and we’ll all survive this journey together. Tonya Kubo is a full-time working mom of two spirited girls and counts her husband, Brian, as Team Kubo’s MVP. 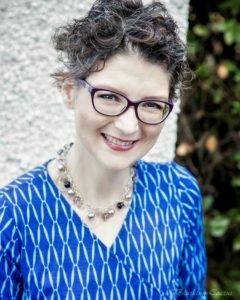 For tips on how draft your own team, download her guide, “Why You Need a Mommy Dream Team.” When she’s not managing the Clutter-Free Academy Facebook group, she writes about overcoming comparison, clutter and compulsion at www.tonyakubo.com. I was barely six, but I knew our family tradition for Christmas. After purchasing a small tree, Dad would bring it home and wrestle with the tree stand until the evergreen stood submissively in the spot that Mother had selected. First the multi-colored lights were arranged, and then the familiar ornaments were hung. After that, it was my turn. The tinsel. Oh, the pain of hanging each piece of tinsel until one branch was completed. It seemed to take hours to hang all that tinsel, and if two pieces were stuck together, there was the unwritten rule that they had to be tediously pulled apart and each one hung separately. I don’t remember signing up for the tinsel-hanger job, but it didn’t occur to me to protest. It was my job – until my sister was born and was old enough to hang tinsel. I convinced her that tinsel hanging was an enviable station. Then came the waiting. Christmas gifts at my house were often home-made. One winter I needed a warm coat, so Mom cut up her coat and made a coat for me for Christmas. Looking back, I wonder what she used for a coat. Another Christmas, she made me a stuffed animal, a kitten. I still have it. Even my Christmas stocking was made by Mom. I still have that too. 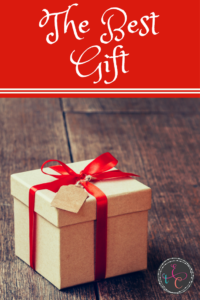 After reading the Christmas story from Luke and praying, we opened our gifts on Christmas Eve; Christmas morning my stocking held more surprises. An apple, an orange, a chocolate covered marshmallow Santa, a toothbrush, a candy cane, and maybe a book. And even though I knew what would be in the stocking, I looked forward to the Christmas morning tradition every year. But this year was different. I had made it known that I wanted a train set for Christmas. The train set was just the beginning, really. I dreamed about having bridges and trees and little railway signs. A whole community emerged in my young mind, with people and cars and stores and houses, and a train that circled around it all, whistling its happy, trainly-tune. Sometimes Dad worked a second job because we didn’t make enough pastoring. I knew this and hesitated to ask for an expensive toy. And I just knew a train set would be expensive. But the desire for that train set was so intense, I could barely contain my little, six-year-old self. As Christmas neared that year, I sat by the decorated evergreen tree and imagined the sound of my own train. I wished with all my might for a train set, but I did not pray for it. I wasn’t sure how God felt about me asking for a toy, so instead, I badgered my parents. Christmas Eve arrived. I stared at the small array of presents under our tree. Were any of them the right size or the right shape for a train set? I could barely sit still while my parents read the Christmas story and then prayed. They seemed to pray for a very, very long time. I don’t remember much else about that evening except that Dad reached behind the tree and pulled out a wrapped box that had been hidden. As I tore the paper away from the package, there it was – a train set! I jumped up, hugging my mom and then my dad. Together we pulled the silver track from the box and began assembling the rail, making a large circle in our living room. Then came the heavy, dark train engine and the colored box cars. Last was the cutest little red caboose that completed my new train. My little, child-soul was flooded with emotion and questions that cannot be articulated. I’m not able to tell you the process that my mind went through, only that I somehow made a bigger-than-six-year-old decision to give away my new train set. You’d probably like to hear that my parents bought me another train set. But that didn’t happen. 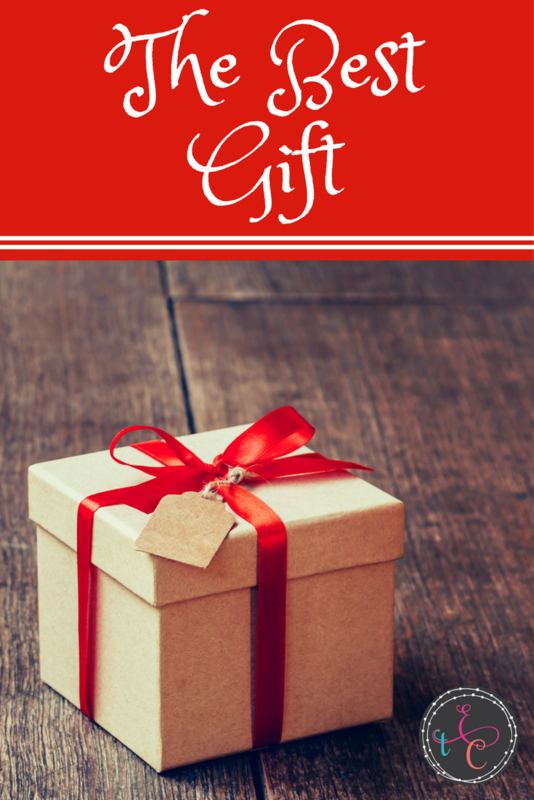 That Christmas, when I was six years old, I gave away my long-awaited, dearly-hoped-for Christmas present. 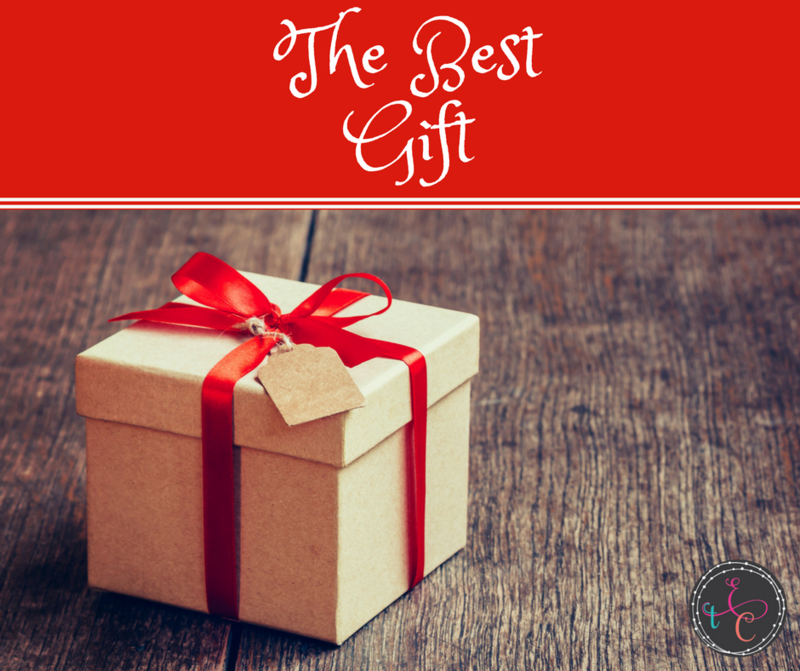 I didn’t know that this profound experience would become my most treasured Christmas memory. I didn’t know that it would follow me into my adult life and shape in me a insightful attitude about sacrifice and giving. I did not expect that the fallout would be a deep sense of satisfaction, and that it would be the dawn of a godly pattern for my life. Lastly, I didn’t know that the most priceless gift I would ever receive would be the act of giving away something that had been the desire of my heart. When Jesus said that it causes more joy to give than it does to receive, He was telling the truth. 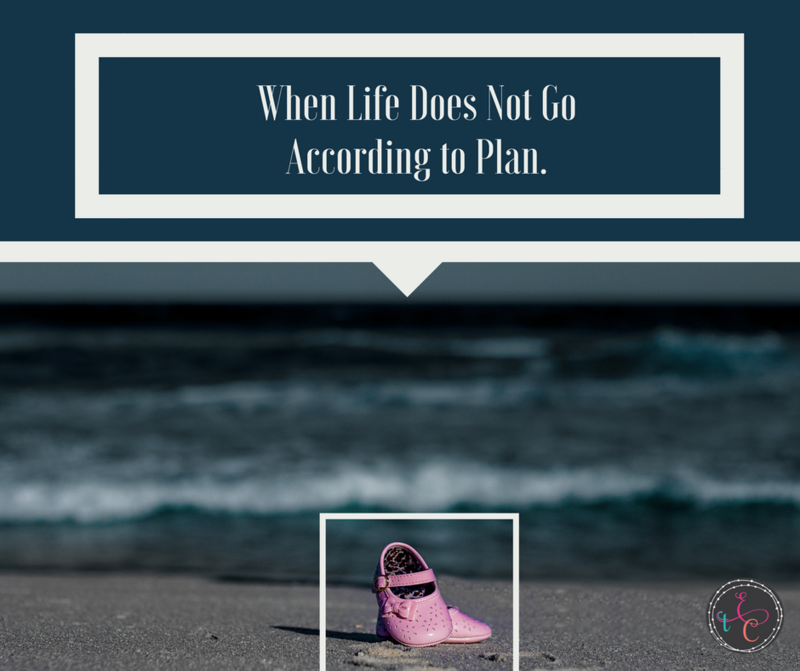 For those of you who read my previous blog “When Life Doesn’t Go According to Plan”, our daughter, Viviana, was stillborn at 38 weeks in July 2011. At the time of her birth, we did not know what had caused her heart to stop beating. We decided to proceed with autopsy, and 3 weeks after she had passed, discovered there was a small abnormal blood vessel that had been present in her umbilical cord. This abnormality, called an angioma, had burst open and created a blood clot inside the cord. This blood clot then completely blocked off the circulating blood to her. When I heard this news, I felt some relief because I knew she hadn’t endured any pain, as she must have passed away quickly. Also, I knew the angioma was a condition that was very unlikely to recur with subsequent pregnancies. 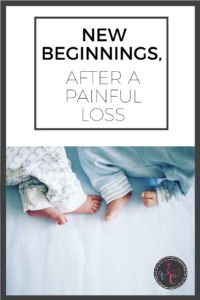 Many couples in the infant loss support group had a multitude of emotions when becoming pregnant after a loss- mostly excitement mixed with fear of losing another baby. However, knowing that Vivi had died from a rare condition actually left me feeling very optimistic and hopeful for the next pregnancy. We started trying six months after she had passed. With both Nicky and Vivi, we were very fortunate to conceive quickly. I, of course, assumed this would be the case again. However, after three months and no success, I began to worry. I was turning 35 that year, and statistically knew my egg quality and quantity were declining. I decided to try an ovulation kit in May 2012. I checked faithfully every morning starting on day 8 of my cycle. But by day 18, I had yet to see the smiley face the Clear Blue Easy kit had described. The seeds of doubt began to grow, and I kept recalling the statistic that only “50% of 35 year olds can conceive spontaneously”. By the time of my missed period, I had a negative pregnancy test, and was convinced my body had stopped ovulating. I was thinking we were going to have to seek fertility treatments. Another week passed, and still no signs of a period. Jack convinced me to check another pregnancy test. Begrudgingly I did, and at 5 1/2 weeks after my missed period, it was positive. I was beyond excited, but a little concerned that a trained ob-gyn could somehow miss her ovulation. I now am sure to explain to patients those predictor kits can have false positives! A few weeks later when I was working, I decided to peek at the growing pregnancy with the portable ultrasound. As I was laying in the dark on-call room, I started squinting at the screen as I thought I saw 2 pregnancy sacs. I moved the ultrasound probe sideways and left to right, and still saw 2 sacs. There was no way I could have twins. No way. No family history. I called Jack right away, and as he answered the phone I shouted “Two! There’s two!”. He was clearly confused and said “Two what?”, and I had to explain I thought I saw two babies on the ultrasound. By the end of the conversation, I had convinced myself there was a machine malfunction, and would wait a few days and look again. Two days later, Jack came along to be the second set of eyes. Again there were two sacs, and now two heartbeats were flickering on the screen. We were having twins. I understand that most people would be ecstatic when they were diagnosed with twins. I had different feelings. Yes, I was grateful for being able to conceive, BUT, I was prepared for a single baby. If I had a singleton, the chance of anything going amiss would be very unlikely. However, I knew twins carried a much higher chance of complications- preterm delivery, NICU stays, increased risk of stillbirth. Also, I still distinctly remembered those long sleepless nights with a newborn. Knowing we would go from one to three children, and two newborn babies to feed at night was overwhelming. A couple weeks later, at the maternal fetal medicine (MFM) office (specialists who care for high risk pregnancies), we were informed the type of twins we were having were monochorionic-diamniotic (mono-di) meaning they shared a placenta, but each had their own amniotic sacs. They would be identical boys. However, mono-di twins are known to have even higher complication rates than other twins- just another aspect that set my stress levels a bit higher. I knew our pregnancy would be monitored closely, and as the pregnancy progressed the ultrasounds and testing continued to look reassuring. However, during a routine ultrasound at 31 weeks, the doctor noted the placenta began to have a different appearance- one area was thinner and darker, and one baby’s blood flow was showing signs of anemia. He was concerned about a condition called Twin-twin transfusion syndrome (TTTS), which primarily occurs in mono-di twins. TTTS is a potentially lethal condition, where one baby “donates” his blood through abnormal blood vessels in the placenta to the other baby, the “recipient”. A few days later, the ultrasound was repeated, again showing an abnormal placenta, and worsened blood flow in one baby (baby B). 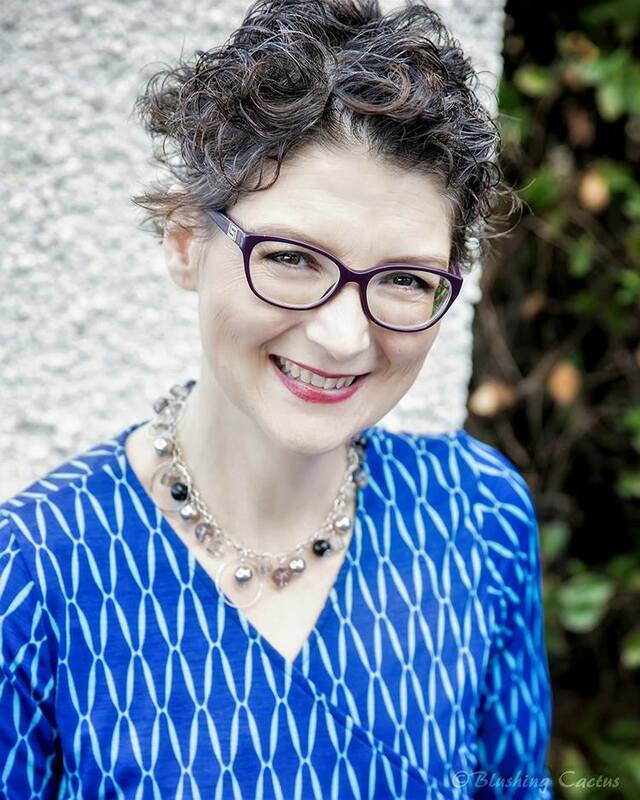 That was when the doctor dropped the bombshell- I was going straight from the office to be admitted to the hospital, and possibly for the duration of the pregnancy. He was concerned the boys were developing TTTS and felt inpatient monitoring was the safest course of action, especially given Vivi’s death the year before. I burst into tears. It was December. Christmas was coming. I wanted to be with Nicky. As I write this, it sounds so childish and selfish. But at the time, I had some difficulty connecting with these two little guys. I was pouring my love into the child who I could see and hug every day. I didn’t realize at the time, but I was somewhat detached from the twins. What if they died too? I felt it would be easier to cope if I hadn’t given them my whole heart. As I was being checked into my hospital room, it finally hit me there was a real possibility I could deliver my boys at 32 weeks. I myself had delivered babies born at 32+ weeks who suffered severe complications from prematurity, and some of those babies had even died. During my hospital stay, the babies were being monitored three times each day, and each time I prayed they would find their heart beat when they put the monitor on. I had an ultrasound every other day to check their movements, blood flow and amniotic fluid levels. At this time, I began to realize how much mental and emotional energy I was putting into worrying about my babies. I was ashamed to admit I hadn’t been praying for peace nor reading God’s word during this time. During the long and quiet days on bed rest, I was spending my days in worry about Jack being a single dad and if the boys were going to be healthy. I was focusing on all the “what ifs?”, instead of focusing on God and his grace, mercies and goodness. One morning, in the midst of a mild bout of anxiety, I emailed our pastor and asked him to send me bible verses on fear. Although my Christian faith was growing, at that time I was not first turning to God with my troubles. One of the hardest parts about faith in God is believing God is good all the time, even when we’ve experienced something tragic. I remember thinking about the sermon our pastor preached the Sunday prior to my hospital admission. He was preaching in John 15, and talked about how like a gardener prunes his vineyard, God works within us and prunes the weak and non-fruitbearing branches. I remember thinking God may feel I still need “a lot of work”, and may desire to continue to prune me by taking my boys away. 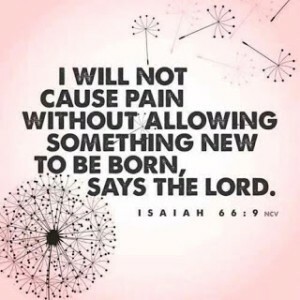 Although I had the list of bible verses to read and my Bible on my nightstand, for days I sat in my bed, letting the worry and fear begin to consume me. I didn’t pray or talk to God. I didn’t open my Bible. I didn’t talk to my friends about this tizzy of worry that was eating me up. I didn’t ask for others to pray for me. Then, almost one week into my hospital stay, Jack and Nicky (who had just turned 3 at that time) came by for a visit- I relished the time with them. While cuddling with my little guy, Jack noticed the Bible behind me, unopened. He casually asked if I had been reading, and if I found our pastor’s email recommendations helpful. I started to tell him I hadn’t really gotten around to reading, when I knew that excuse would not fly. Didn’t have time? Seriously? This was the most time I’ve spent alone in nearly my entire life. I couldn’t use that as a justification. I started crying, knowing that I was in a bad place, and I needed help. I had so many emotions mixed together, deeply missing our daughter Viviana, anxiety over the health of the boys and fervently hoping they would survive, and longing for my routine of being a mom and wife. It was then that I realized I was fearful to even start to pray and ask God for help. The verse “I believe! Help my unbelief!” (Mark 9:24) fit my heart stance at that time. I believed in God and wanted to trust His promises, but there was a part of me that was very scared to let go and completely surrender to him. I only partially believed that He would take care of me and comfort my soul. All the anxiety and fear I was drowning in was there because I felt I needed to figure it all out myself. Old habits die hard. For 34 years I was used to being self-sufficient and coming up with my own answers. But what I needed to do was hand my doubts, fears, and worries over to God. I needed to realize I could rely on Him. I needed to remember He had plans for me and my two baby boys. I came to know that both faith and fear cannot be in the same place. That night I chose faith. I surrendered my heart to God, I asked him to take over. I didn’t want to live in fear of the unknown. I didn’t want to doubt the medical staff taking care of me. I didn’t want to worry about my boys’ health. I gave it all over to Him. I prayed he would give me a calm and trusting heart. I read the bible passages about fear and worry. I wrote them down. I tried to memorize the ones that penetrated my heart. Every time I felt the seed of worry begin to grow, I turned right back to those verses. I learned that with every circumstance in our lives, when trouble comes along, the first source should be God’s word. Initially, I let my own knowledge of mono-di twins and their potential complications unleash a flame of fear. 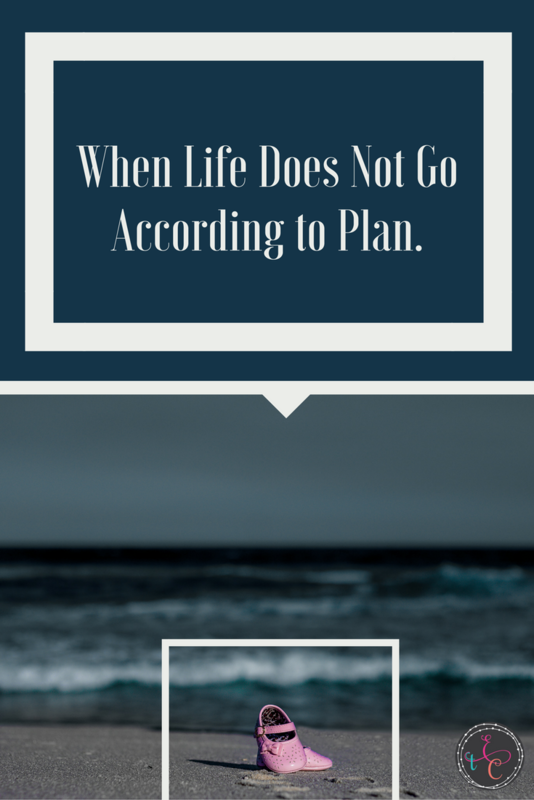 That season of anxiety was squelched when I redirected my thoughts to God and His promises. One of the verses was 1 John 4:18 “There is no fear in love. But perfect love drives out fear, because fear has to do with punishment”. I focused on God’s love for me by sending Jesus to sacrifice himself for my sins. I focused on the love I had for my two baby boys. When I meditated on God’s love for me and my boys, and how much I loved my boys, I felt the fear melt away. I put my trust in the One who blessed me with the twins. Staying close to God was my life-preserver the remainder of my hospital stay. As the ultrasounds were beginning to show possibly worse anemia for baby B, it was recommended my labor was induced. Once it was time to begin pushing, I was quickly wheeled into the operating room. The plan was for a natural delivery, but with twins there is a much higher risk of needing a c-section emergently. Baby A, Michael, delivered easily after two pushes, and Baby B, Vincent, was delivered 6 minutes later. Taking one look at the boys, they indeed did have TTTS. Michael was the “recipient”- he was beet red, as he had been receiving blood from this brother. Vincent was the “donor”- and he was pale white, anemic from donating his blood. Both boys did remarkably well, and had a short stay in the NICU. Thanks be to God. I am so grateful for my pastor, my husband Jack, and for the Holy Spirit for prompting and guiding me in the right direction during my time of crisis. To the direction of prayer and God’s word. And to remember God is good. All the time. 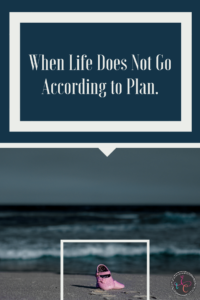 When Life Does Not Go According To Plan. We all love, and feel the need, to be in control of our lives. In control of our kids, our finances, our jobs, our marriages, our relationships, our health. But oftentimes, life spins out of control, and usually in the blink of an eye. For some, it could be a terrible car accident, an earthquake, or a sudden loss of employment. For me, when I think of a time when my life felt utterly out of control, was when I was pregnant with my daughter Viviana in 2011. 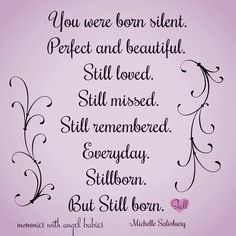 I remember sitting on my couch with my then 1 year old, Nicky, eating the eggplant parmesan I had made to “induce” labor, when it occurred to me I had not felt her move since the late morning. I am an ob-gyn, and initially was not concerned, as neither she, nor my son, had been very active babies in the womb. I told my husband, Jack, I was going into my office to check her heart rate, and he insisted he come along. We made the 5 minute drive to my office (which by then was empty as it was evening), I lay down on the exam table, listened with the Doppler…nothing. I moved the Doppler around for a few more seconds, and still nothing. I felt my stomach twist and my heart begin to pound. I looked at Jack and told him we needed to look at her with an ultrasound. His eyes widened in fear, but he said nothing, just gently touched my arm. With tears streaming down my face, we quickly raced over to labor and delivery, meanwhile calling the charge nurse, telling her I was on my way because I couldn’t hear my daughter’s heart beat and to wheel the ultrasound machine into triage. As I walked into labor and delivery, I felt as if I was moving in slow motion but could not hurry up. I made my way to triage, lay on the gurney, and scanned with the ultrasound probe to see if I could see the rhythmic beat of her heart. Her heart was still. She was still. I continued to look, but there was no sign of life. Our daughter, just 2 weeks from her due date, had died. I was quickly wheeled to a private room, where my doctor (and private practice partner), arrived. 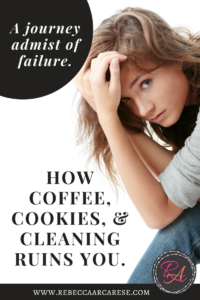 Usually in such circumstances, she would go over the next steps such as inducing labor, pain management, and attempting to answer the question “Why did this happen?!”. But as I knew the answers to those questions (and the answer to the main question is ‘We don’t know and may not find out’), she just sat with me and held my hand as I got prepped for the epidural. My best friend Lori, herself 30 weeks pregnant, arrived and was a comforting presence during labor, and my mom had quickly driven to the hospital to take Nicky for the night. Jack remained quiet and strong. His presence and loving supportive words buoyed me that night. I was unsure what pain was worse- the shock of what happened or the ache for what never would. After a few hours of Pitocin, Viviana delivered after pushing with 3 contractions. She had beautiful dark hair, pink pouty lips and chubby little legs. When I was pushing I began to think that perhaps I had been overreacting and maybe she was still alive! Maybe we were all mistaken about the ultrasound and she was completely fine. I was hoping beyond hope that when she came into this world she would take a breath of air and begin crying. But after that next push she delivered, and there was silence. The doctor gently cleaned the amniotic fluid off her face, cut her cord, and wrapped her in a blanket and placed her on my chest. It was in that moment that I remembered what her name meant- “lively or full of life”. Ironically, she was born the opposite. She was born still. Over the days, weeks and months that followed, I thought about my constant need to be in control of my life. Initially, I had even considered how I had control over her life and death. With prideful guilt, I contemplated all the ways her death had been my responsibility. 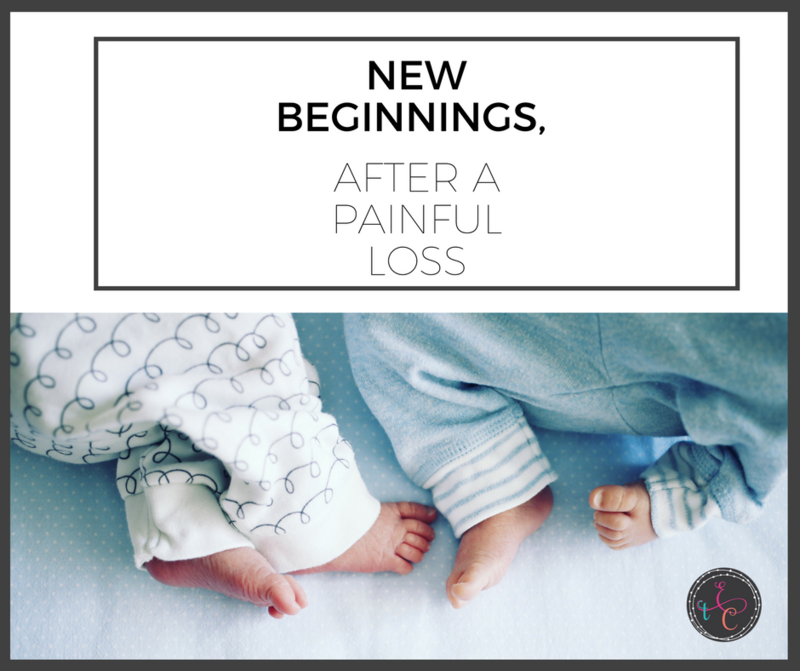 Perhaps it was the past wrongs I had committed and her passing was “karma” in return, or maybe it was the lackadaisical attitude I had towards my pregnancy, assuming I would have a normal and healthy outcome. I even tried to control how I grieved. I was determined to get through it as quickly and efficiently as possible. 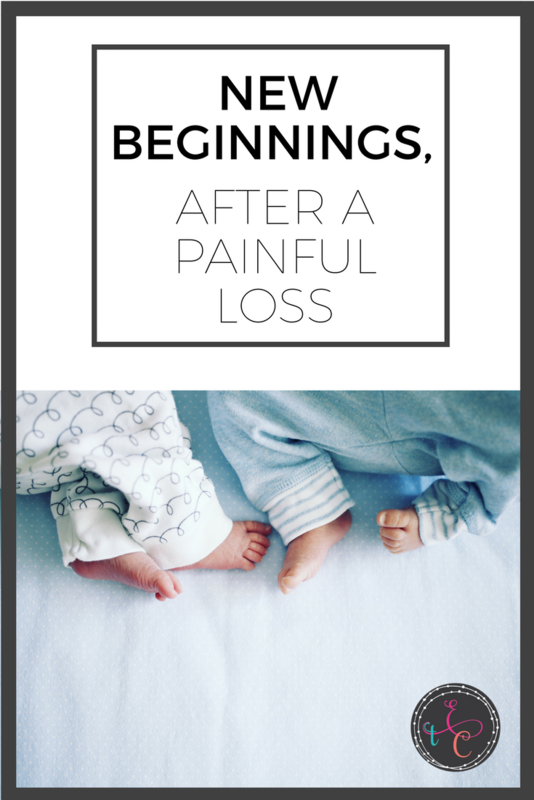 I read as many grief books as I could find and scoured websites on how to cope and survive following the loss of an infant. However, I learned the hard way there is no speeding up grief. It is a process, one that you have to go through, and it takes a very long time. Jack and I attended a support group of couples who had experienced fetal or neonatal loss, and I was taught that we would never “get over” Viviana’s death, but learn to live without her. Our daughter’s birth was on July 29th, 2011, a Friday. We went home later that day, exhausted from the events and the emotions we had endured. Coming home empty handed after childbirth felt surreal and unnatural. Every time I walked past her newly painted and decorated room, with a closet full of baby clothes she would never wear, I felt my heart break. I remember feeling aimless, without a sense of purpose. I don’t recall who initially recommended this next life changing step, but we decided to attend church that weekend. Since we had moved back to Seattle in 2007, Jack had been gently urging us to join a church community. I fought it. I made up excuses. I didn’t see how God fit into my life- everything was fine! How could knowing God help me? But that Sunday after Viviana died was our first time attending Highline Christian church. Because of that irresistible sense of peace I felt each Sunday, we continued to attend service each week. Hearing the senior pastor’s sermons pierced and opened my heart. I learned how God truly loves us, unconditionally, regardless of our past and future mistakes. Nothing that I have done or ever will do will make Him stop loving me. I learned because of this great love, He gave us His son, Jesus, to become the ultimate sacrifice by dying on the cross. What this meant for me was that all my errors and poor choices were forgiven, and that if I believed in Him, I would be Heaven-bound after my earthly days were over, and I would see and hold by dear baby girl again. The knowledge I would see Vivi again gave me a hope nothing on this earth could ever provide. It has now been 4 ½ years since Viviana has died. There is not one day that passes that I do not think of her. I try to imagine if she would resemble her 3 brothers, if she would be obsessed with “Frozen”, or be more of a tomboy. Her short life and death has made a permanent impact in our lives. Grab a cup of coffee and pull up a chair! Here we offer what has worked or not worked for us. We do not operate in opinions. You have enough of those! Learn from our tears, successes, failures, and creative solutions to embrace the craziness of life!